As the rumor mill around the Apple smart television set kicks into overdrive, it only makes sense for analysts to chime in. Shaw Wu of Sterne Agee, for one, thinks content and hardware choice are the key to Apple’s (s aapl) success. In a note issued Wednesday, Wu said Apple should enter the TV space in Sterne Agee’s opinion because it represents “the only major end market the company is not currently participating in a bigger way,” according to Wu’s note. He cites “several data points indicating activity from component makers to manufacturing partners,” as well as Apple’s own patents as reasons the firm expects Apple to throw-in with televisions. I agree that such a solution makes sense for the reasons Wu gives, but Apple would also have to contend with the risk involved in offering a low-cost device with essentially the same feature set of a high-priced one, with the added challenge that its own integrated smart TV will come in a maximum size of 37-inches, if reports prove accurate. What incentive is there to opt for the Apple iTV over a set-top box in that situation? The answer, of course, may come in the form of some unreleased detail; local storage in a dedicated Apple set, for instance, or broad access to an App Store instead of a select number of hand-picked services, for instance. Apps and content will be another crucial element to the device’s appeal, according to Wu. He echoes what we’ve been saying for a while now; an Apple TV set’s fortunes will depend heavily on what kind of content Apple can provide, and the way in which it presents that content. Wu suggests IPTV might be one option for Apple to provide live broadcast television, but streaming app-based solutions for very specific verticals are also starting to emerge. 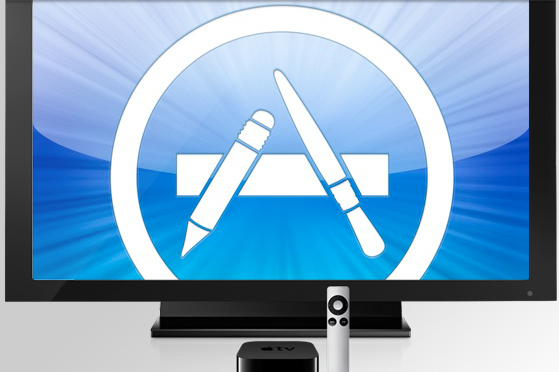 Finally, Wu says customized programming is something that Apple “would love” to offer its users. We’ve said before that a la carte offerings would indeed make the Apple iTV a truly disruptive device, but the challenge lies in convincing content partners that is indeed the way to go. Pick-and-choose programming is an idea that’s making inroads among cable providers, however, at least in some markets, so there’s hope we could see a high degree of content customization options in Apple’s offering, too.